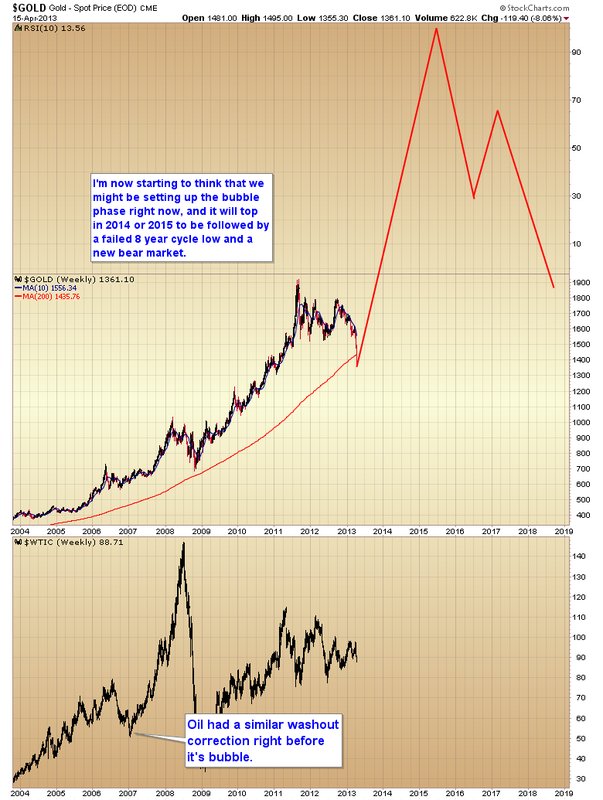 Setting the stage for the gold bubble phase? 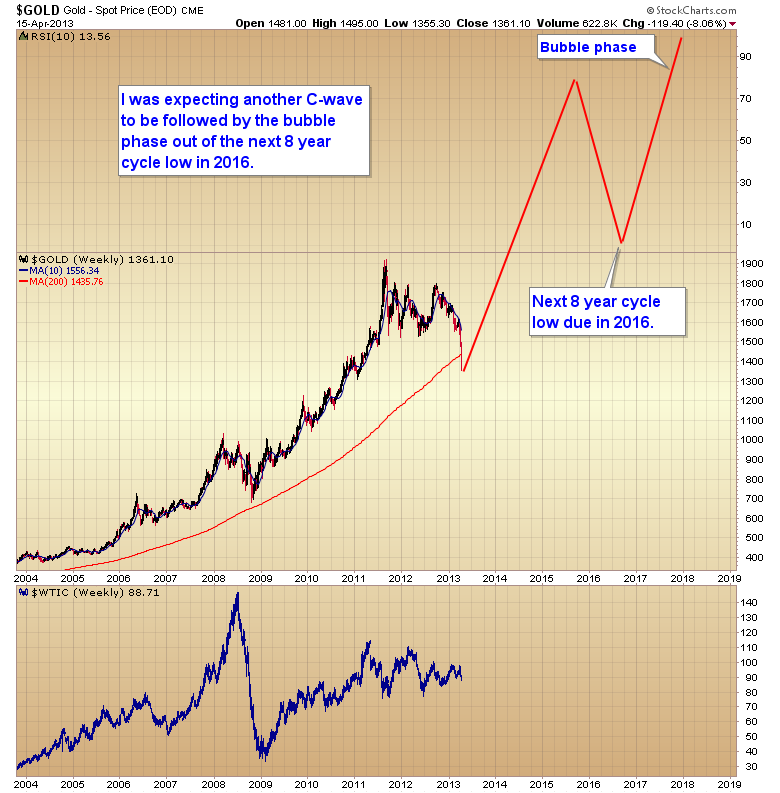 Until recently I was expecting the bubble phase for gold to occur as we came out of the next 8 year cycle low in 2016. However with the panic sell off over the last two days and break of support at $1,523, I'm now starting to think what we are seeing is the washout prior to the bubble phase. 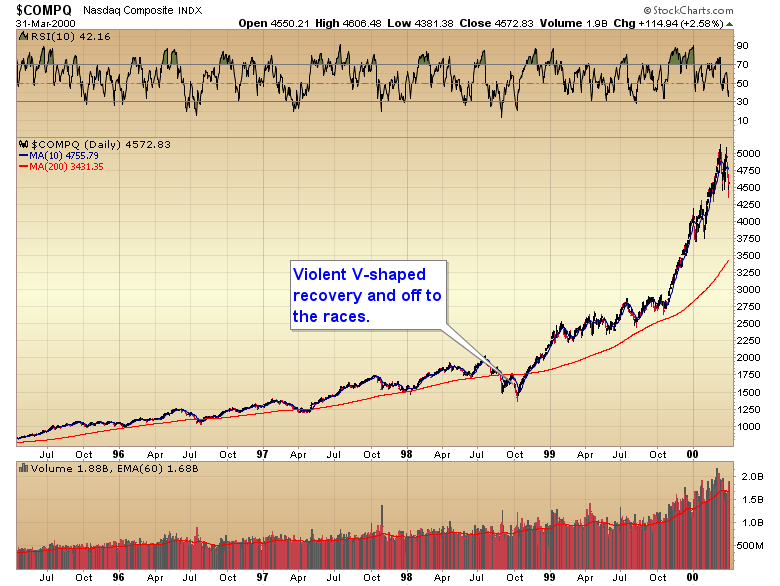 The Nasdaq in `98, and oil in 2007 are perfect examples of the transition into the "bubble." Notice how these very harsh corrections all tend to reverse violently from severe oversold conditions and then never look back. 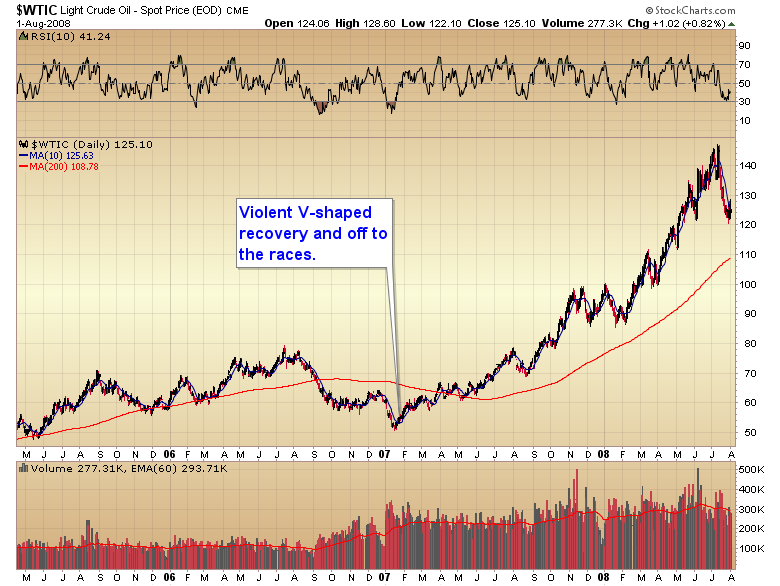 I'm starting to think that's what is transpiring in gold right now. We are in the washout phase and once the bottom forms gold will launch straight into the bubble phase over the next year and a half/two years. That will necessitate a rethink on how the next eight-year cycle is going to play out. Instead of the eight-year cycle low generating the bubble as originally expected, it will signal the end of the secular bull market. This means the bubble phase may come earlier than I was expecting with a final top in late 2014 or early 2015 instead of 2017/18. A top in 2015 would still be a 15 year secular bull market, which is about normal for these things.